Ramadan is the Muslim month of fasting. During this time Muslims fast in daylight hours and cook in the evenings. It is common to have one meal, known as the suhoor, just before sunrise and another, known as the iftar, directly after sunset. Promoting kitchen safety is really important during this time when cooking takes place out of daylight hours, particularly as over half of house fires are caused by cooking accidents. 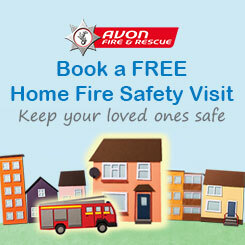 Avon Fire & Rescue Service want to help keep your Ramadan celebrations safe. We have provided some useful leaflets in PDF format that we think will be helpful to you.